This Bike Pic Tuesday, digging through the archives, we caught this young biker chick out ahead of the pack, in the kid’s race at the North Star Bicycle Festival, in Stillwater MN. This year the event happens ming this year on June 12 – 16th. 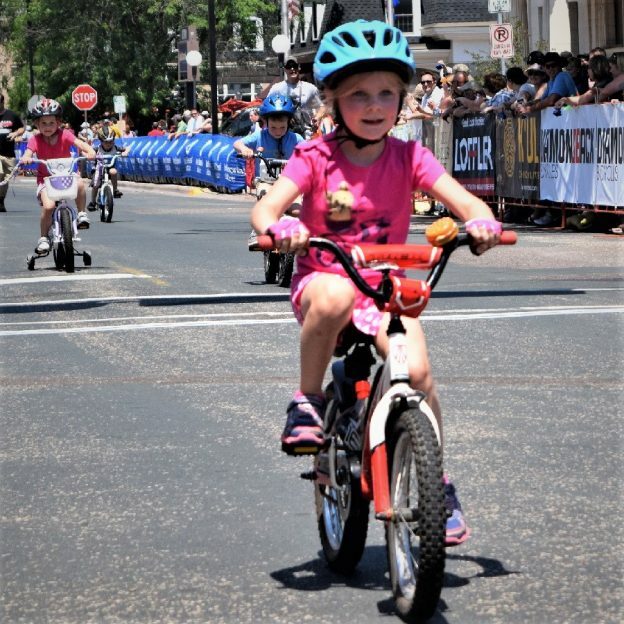 This entry was posted in Picture of the Day and tagged bike guide, bike mn, Bike Ride, bike tour, bike touring, biker chick, biker family, kids race, Minnesota Bike Guide, Minnesota bike maps, North Star Bicycle Festival, pic of the day, Stillwater MN on February 12, 2019 by Russ Lowthian.